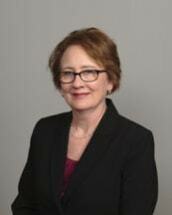 Brenda R. Kline joined Furr & Henshaw in March of 2013 as a medical malpractice/personal injury plaintiff's attorney. She is a graduate of the University of South Carolina School of Law. She has twelve years' experience as a child abuse prosecutor in Aiken County. Prior to law school, she earned a BS in nursing from the Medical College of VA and worked as a registered nurse, specializing in pediatric oncology.